Commemorations help to deal with the realities of today, and the reality is that thirty years after Communism, there is again a global force that would turn the European nations into a standardized cluster. 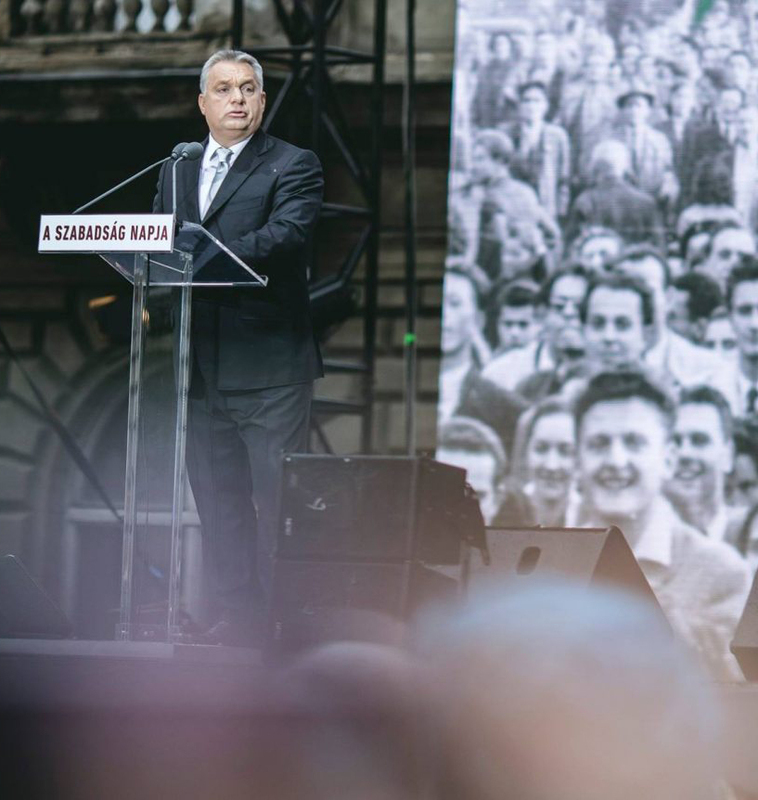 . . We wanted to believe that the Communists’ dream of making Homo Sovieticus out of Hungarians could never threaten us again, and today we are witnessing with astonishment the globalist powers trying to force our doors open and turn us into Homo Bruxellicus. We wanted to believe that we would never have to deal with political, economic and intellectual forces that would cut us off from our national roots. We also wanted to believe that in Europe, terror and violence no longer have a place. It was not the case. The successes of Europe have blinded her, and she has lost her place on the world stage without even realizing it. She dreamed of a global role, and even today her neighbors do not care about her, while she is unable even to maintain order within herself. Instead of recognizing this, campaigns of vengeance were launched against those who drew attention to the dangers of spiritual decay and nihilism. Those who say that Europe needs defensible physical outer borders are labeled uncompromising. Those for whom immigration is a danger to our culture have been called racists. Those who have spoken in defense of Christendom have been accused of discrimination. Those standing up for the defense of the family have been labelled homophobic. Those for whom Europe is an alliance of nations have been called Nazis. And finally, those who wish to take a different path from the wobbly economic path of Brussels are treated as dreamers. It is in the wake of globalization that financial empires have risen. They have no borders, but they have global media, and they have tens of thousands of people who they have bought for their cause. They have no concrete framework, but have extensive networks – they are fast, strong, and brutal. This empire of financial speculation has taken Brussels hostage, as well as a number of its Member States. 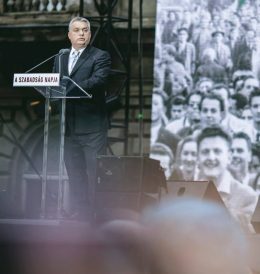 Thus continued Viktor Orbán, referring, among other things, to his great declared enemy, the globalist speculator and financier George Soros . This empire has imposed new migratory waves, millions of migrants, and new population invasions. It is they who have fomented the project of turning Europe into a mixed part of the world. We are the only ones standing against them. And it has come to the point that Central Europe is the last part of Europe without migrants. It will be decided now if we can bring back the great Europe that existed prior to multiculturalism. Sure: reasonable, civic, Christian, and free, this is the Europe we want! Many still think today that it is impossible. But let’s remember 1956. No one can tell us what is impossible. We know that mass immigration can be stopped, globalization can be slowed down. We can tame Brussels, we can break the plans of the financial speculator, and we can put a straitjacket on the project of European federalism. It is enough for us here in Central Europe, Poles, Czechs, Slovaks, Romanians, and Hungarians, to unite our forces. It is enough that we discover the strength in our hands, in our heads, and in our hearts . . . [But] never underestimate the strength of the dark side. This article is reprinted from the Visegrád Post  on October 25, 2017.